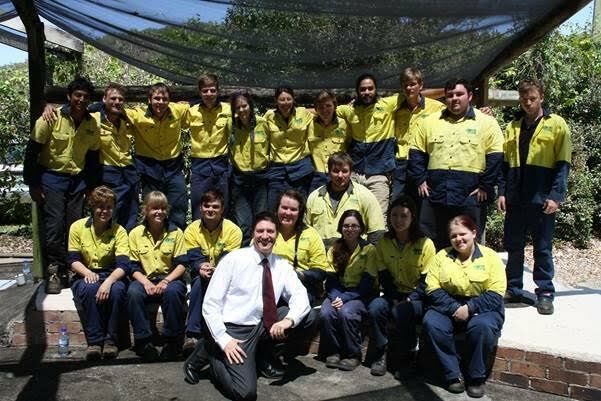 Federal Member for Bonner, Ross Vasta has invited enthusiastic 17-24 year olds in the electorate to join what is fast becoming the largest-ever team of young Australians supporting environmental action across the country, as local Green Army workers today celebrated their graduation. “The Green Army teams in Bonner are generating real environment and conservation benefits for our community,” Mr Vasta said at the graduation of the Green Army team responsible for rehabilitation of the Bulimba Creek Oxbow Wetlands at Tingalpa. Participants in these Green Army projects were involved in recovery actions to restore habitat and create connectivity, activities such as weed control and brush cutting, use of small engines, herbicide applications, specifies identification, mulching, revegetation establishment, seed collection and propagation, habitat creation using natural materials, monitoring and evaluation assistance, and more. Mr Vasta thanked the Bulimba Creek Catchment Co-ordinating Committee for hosting the projects. “I congratulate the Green Army volunteers in Bonner on their hard work and the real difference they have made to our local environment,” Mr Vasta said. Young Australians interested in joining the Green Army can apply through the appointed Service Providers for each state and territory. Contact details for Service Providers are available from www.environment.gov.au/green-army.